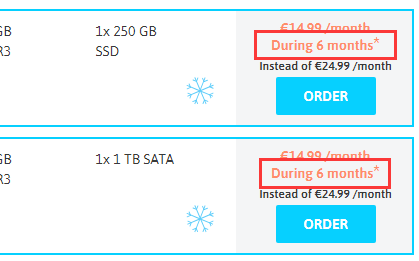 *Deals 2019: Promotional offer valid on the server references mentioned, excluding option, ordered before February 19, 2019 midnight. Discount applies to the current month and to renewals during the indicated calendar period, afterwards it switches automatically to the regular price. Limited stocks.